Mr Naqui was delighted to have been hosted by Professor Mathoulin at the world famous Institut de la Main, Paris. 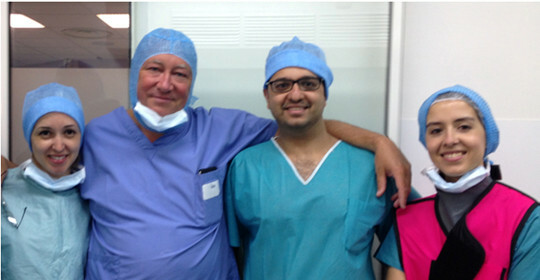 Professor Mathoulin is a leading international authority in minimally invasive Wrist surgery. Prof. Mathoulin who is currently the chair of the FESSH organising committee was instrumental in the development of the European Wrist Arthroscopy Society. Mr Naqui’s visit was part of the prestigious BSSH Stack Fellowship Prize he was awarded earlier this year.